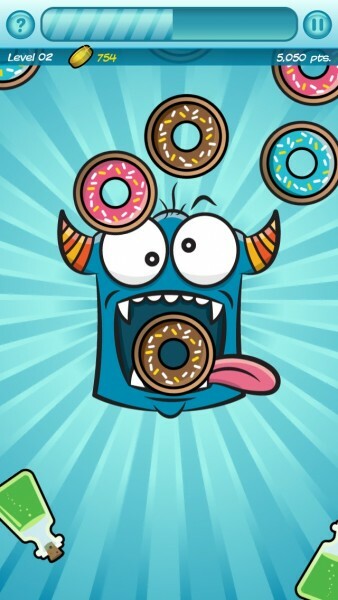 Monster Head (Free) by Robot Rocket Games is a frantic arcade game that will leave you in the mood for a lot of donuts. 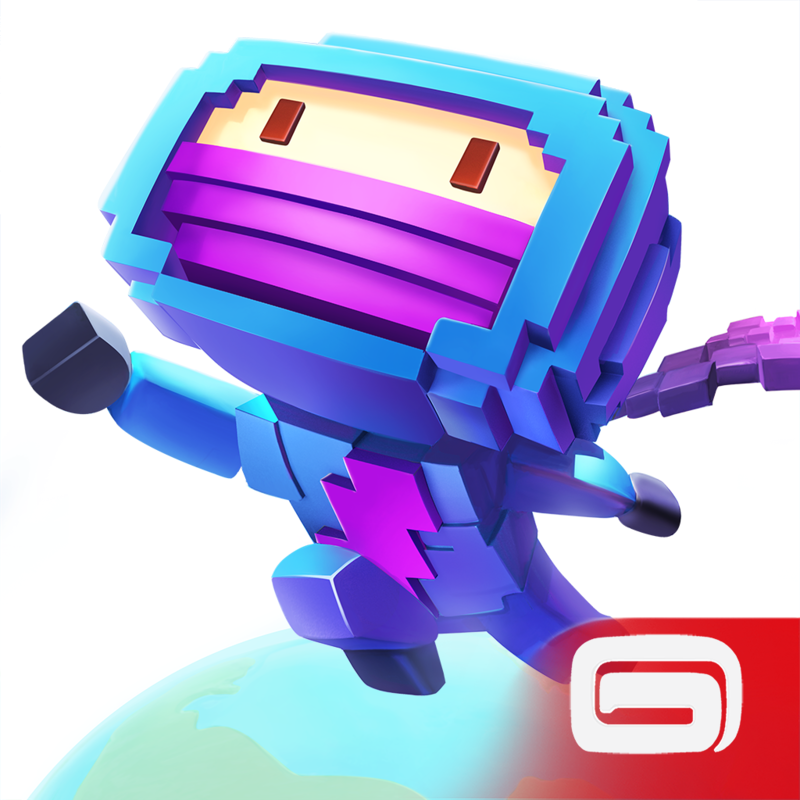 If you enjoy quick-fix games like Ninja UP! 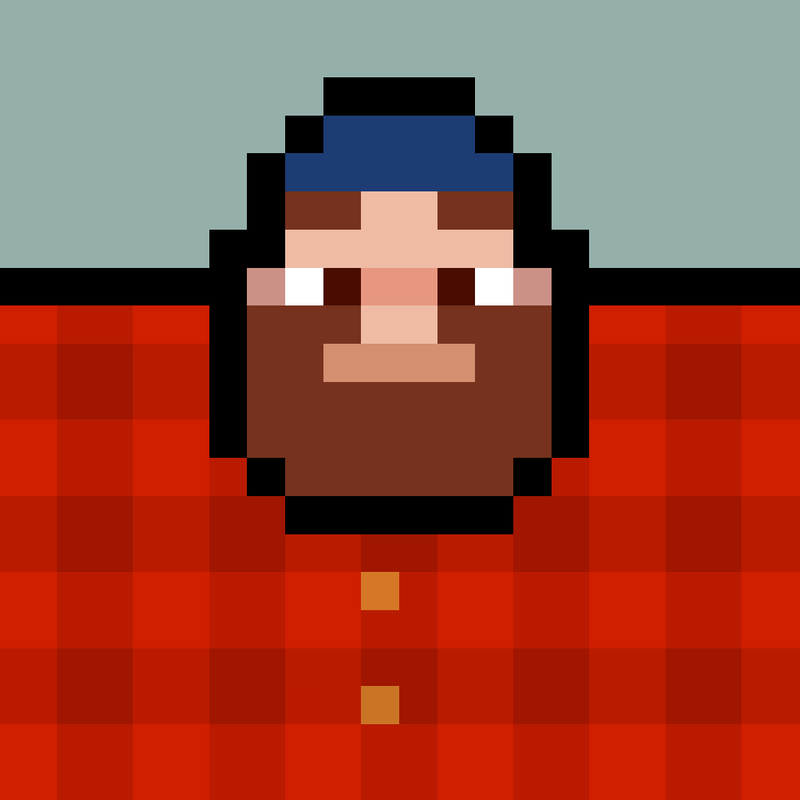 and Timberman, then Monster Head is another fine addition to your collection. When I have a few minutes to spare, I like to pull my phone out and find something entertaining to pass the time. While I usually like to browse my social networks, I admit — sometimes I just get tired of checking them all the time, and usually, there’s nothing that interesting. So that’s when I pull a game out and play it to pass a few minutes, or an hour. For these moments, those quick-fix games are the perfect remedy, because it’s something that you can pick-up-and-play in short bursts throughout the day, just to kill some time. That’s exactly what you’ll want Monster Head around for, especially if you enjoy arcade-like games. 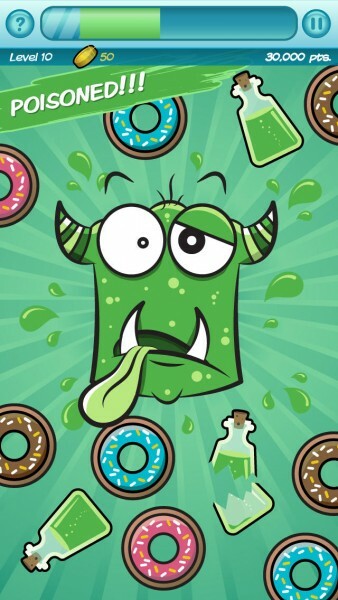 Monster Head features some cute visuals that are bursting with personality. While it may seem cartoonish and for kids, I still enjoyed the graphics, as I found it to add a layer of charm to the game overall. Everything is brightly colored and vivid, making it appealing to me, and it looks fantastic on Retina screens. The animations in the game are smooth and fluid at 60 fps, so everything flies by on the screen without any lag. The music is upbeat and quirky, and the sound effects are fun. All-in-all, the visuals and sounds come together to make an enjoyable experience. 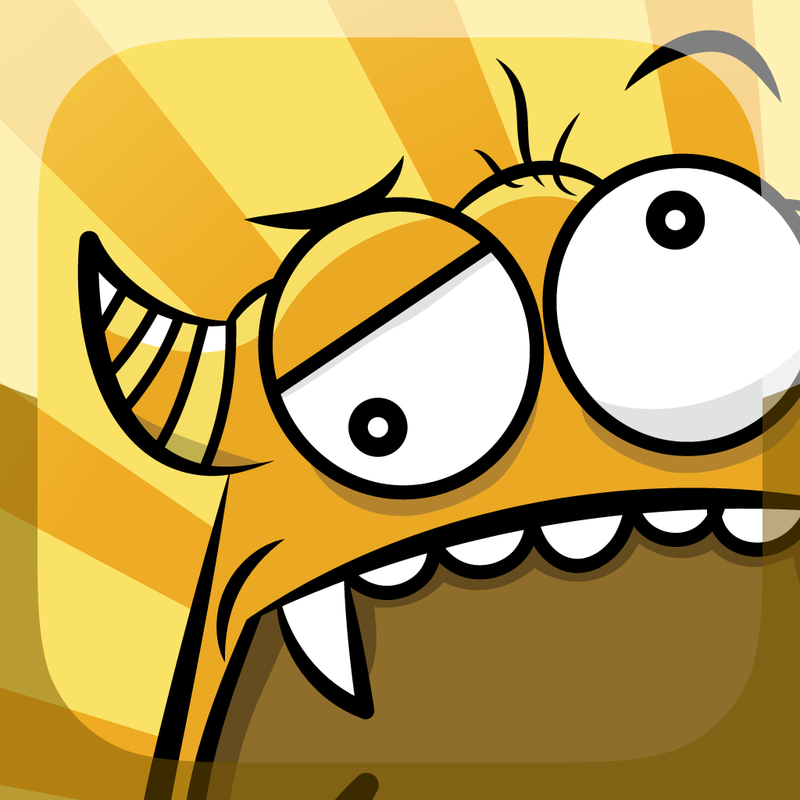 There is only one game mode in Monster Head, but it’s enough at the moment. 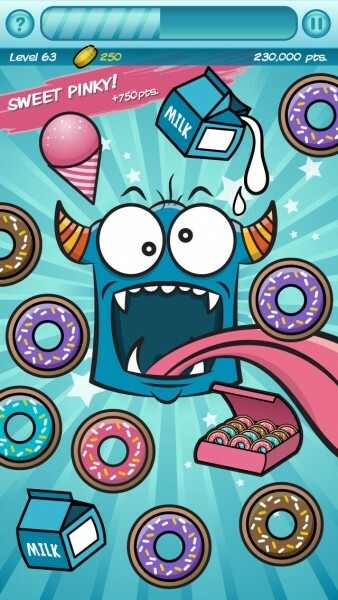 Basically, you have a monster head in the center of the screen, and he has a big appetite! Your job is to feed him all of the donuts and other sweets that fly by on the screen, while avoiding all of the bad things, like vials of poison, scalding hot coffee, and bombs. 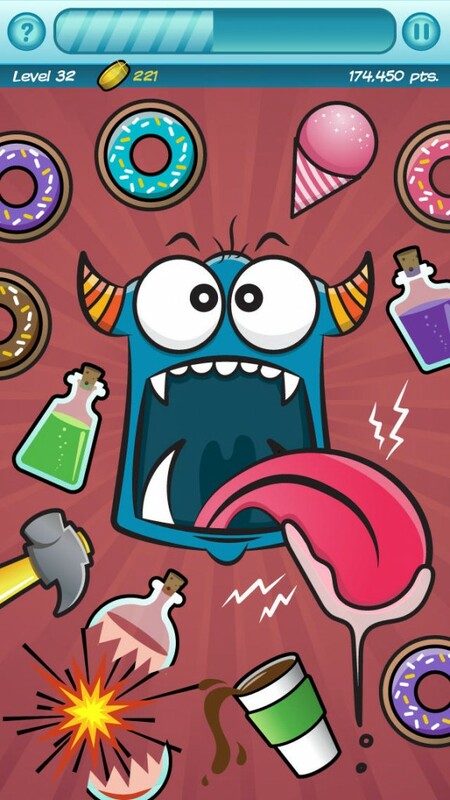 There are also power-up items, such as hammers that will get rid of poison bottles, that can help you in your quest of feeding the monster head. The hunger meter at the top of the screen will show you how well you’re doing with keeping the monster alive — once it runs out, the monster dies. 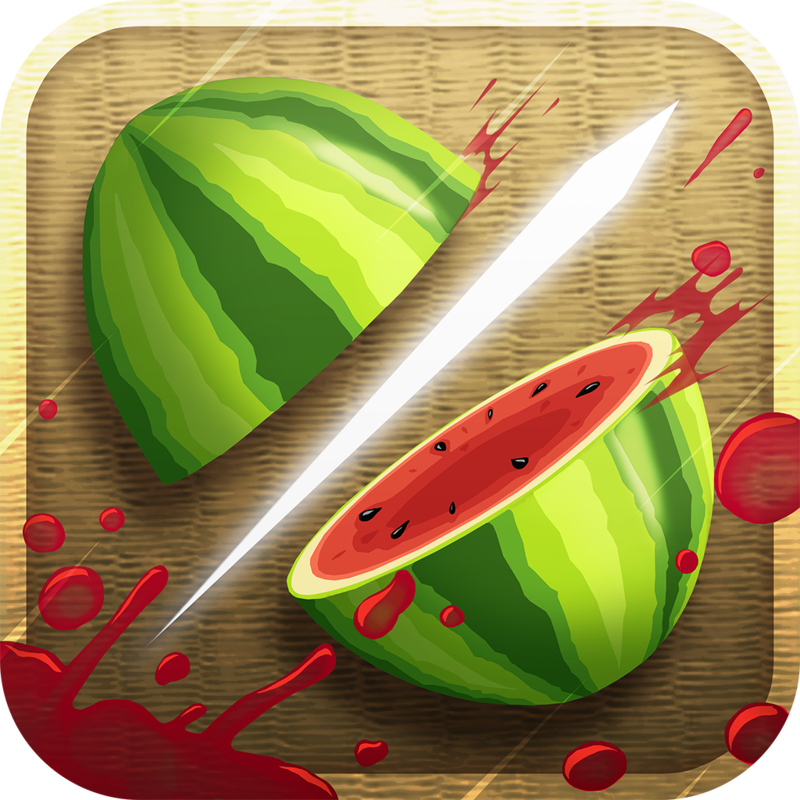 The gameplay reminds me a bit of games like Fruit Ninja, except rather than slicing, you’re tapping. 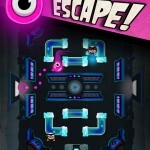 And given the fast-paced nature of the game, you’ll be doing a lot of rapid tapping on your screen to do well in this game. 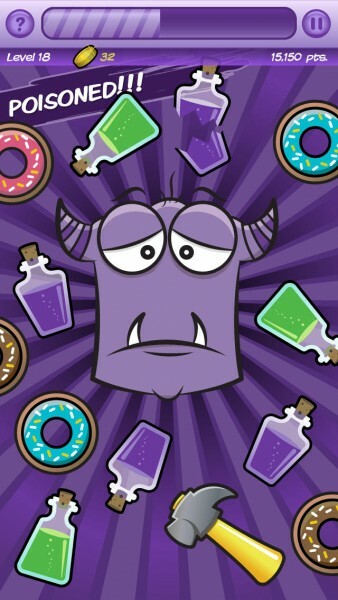 To feed the monster, just tap on the donuts and other sweet items that you’ll come across — more foods and dangerous items get introduced the longer you last in a game. 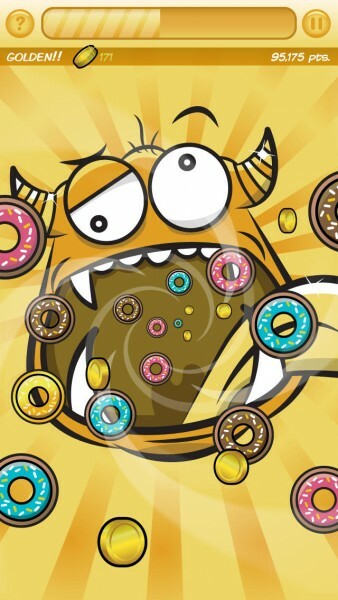 If you tap on bad items, they will deplete your hunger meter a bit, so watch out for those. When you do well enough in the game, you will advance to the next “level,” which is more like a wave. 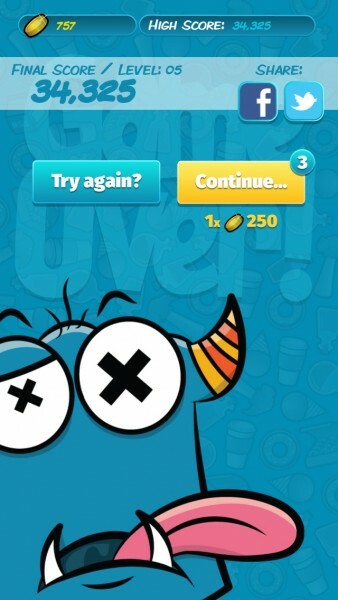 This is when the new items start showing up, and every 10 levels can get you thousands of extra points and bonus coins, which is a nice incentive. 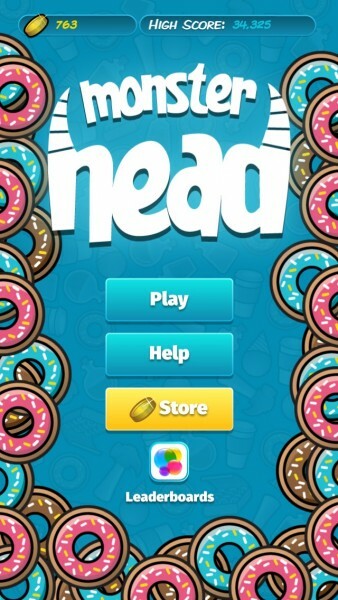 You also get more points for doing things like getting three consecutive color donuts in a row, and there are many more waiting to get discovered. While the game awards coins to players, there isn’t much you can do with them at the moment, aside from using them for continues when you die (price increases the more times you continue). If you browse the Store in the game, you will find that you can purchase more coins through in-app purchases, but there is an “Other” section that is just filled with “Coming Soon!” indicators. 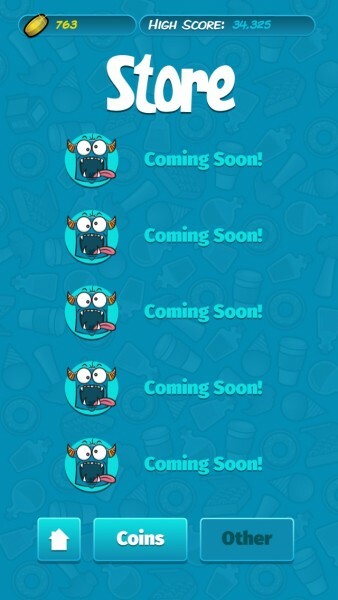 Hopefully these will be something fun and exciting, such as new monsters with unique abilities that can help you, or other power-up items. So far, I’m enjoying what Monster Head has to offer, because it’s just a fun little pick-up-and-play game that helps pass the time. These are always a welcome addition to my phone, and I’ll be keeping it around. 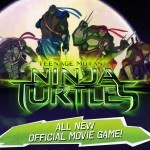 The visuals are charming, and the simple, but challenging gameplay keeps you coming back for more. Monster Head is a bit lacking in terms of things you can buy with coins, but this will get fixed in the near future. 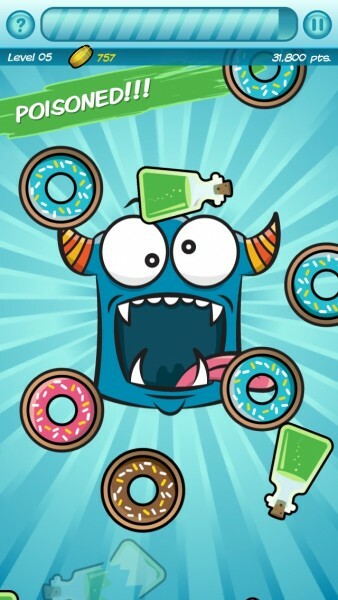 If you are in the mood for a quick-fix arcade game with an adorable, hungry monster, then you need to check out Monster Head. You can get it on the App Store as a universal download for free.